Dreaming of taking the family out camping in an RV? This may – or may not – be a good idea, depending on what you need and prefer. 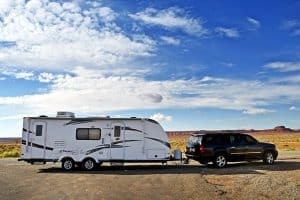 Having researched this in depth, I’m going to share with you here all of the pros and cons of a family RV vacation so you can make an informed decision. Kids sleep in the same bed every night. The entire family shares the same space. Then there are a few considerations that you should keep in mind which I can’t classify as a con or pro. The reason being is that they may or may not apply to your situation. They relate to renting an RV and to the type of RV you’ll be using. They will affect your decision though, so you should definitely keep them in mind. Short vacations with a rental RV don’t make sense. Going with a motorhome? You won’t have a car to travel in once parked. An outline of the arguments may not be enough if you have zero experience with RV’ing. That’s why I’m writing an entire blog post on the issue at hand. 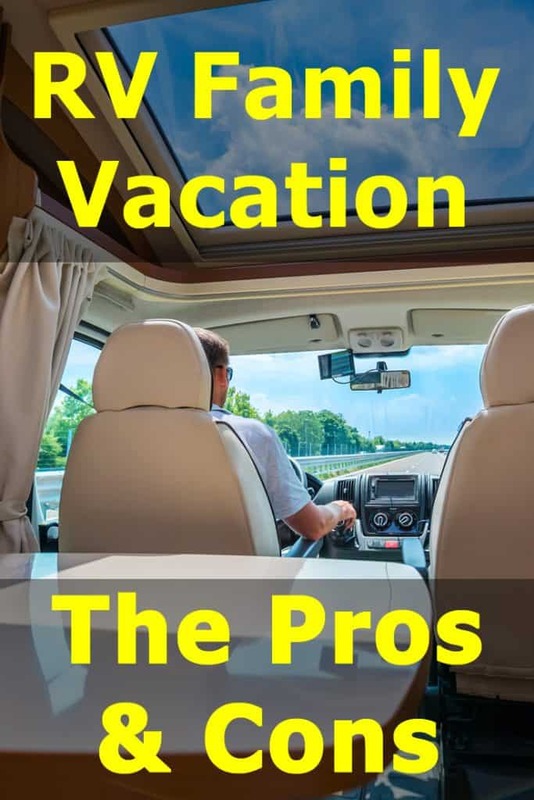 Keep reading to fully understand what these pros and cons mean for you and your family and see how you can negate the disadvantages and go on a perfect RV holiday. RV stands for “Recreational Vehicle”. In other words, this is a vehicle that was designed for recreation so it should be the perfect solution for a family vacation, right? For many people, yes, RV family holiday is a fantastic experience. In fact, once they get a taste of traveling and camping in a motorhome or travel trailer, many families never go back to hotels. It’s not just fun – it can be addictive! For others, an RV holiday can be a nightmare. For various reasons which we’ll go into in a minute, they hate RV’ing and can’t wait for the holiday-from-hell to end so they can return the RV without ever giving this lifestyle a second chance. So, with that in mind, let me try and describe an RV family holiday in as neutral terms as possible. This type of vacation can be long or short. Some people head out to their favorite lake or campground for the weekend. Others take to the road for months on end before coming back home. Then there are those who become full-time RV’ers and adopt this as a lifestyle. 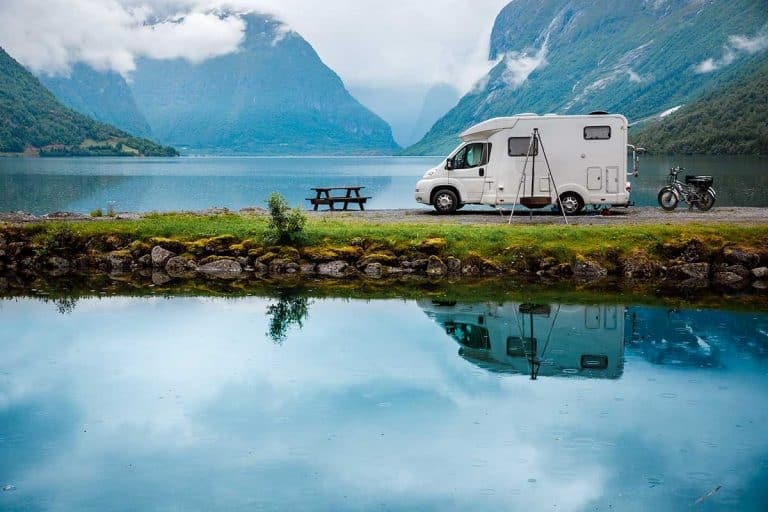 Generally speaking, an RV holiday consists of driving the RV in its entirety from one destination to another and then camping in the RV overnight. 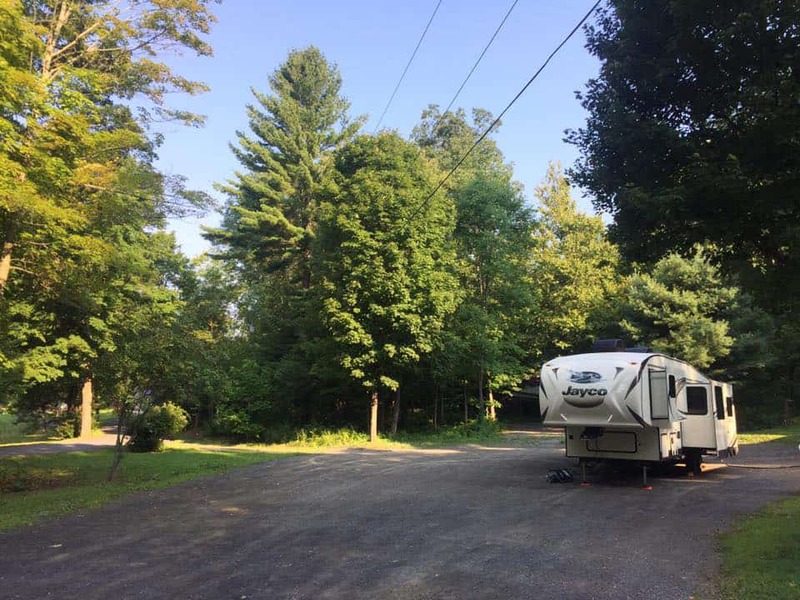 Usually, the RV is camped in a campground with connections to city water, electricity and sewage. This is known as “hook-ups”. The hook-ups allow you to operate the RV as a home, enjoying fresh water for long showers, your own bathroom and a fully operational kitchen. Most people avoid driving every day so they spend several days staying in the same spot and exploring. Once they’ve had enough, they bring in the slideouts, unhook the RV from the campsite and drive to the next destination. It is possible to camp outside of a campground. This is called dry camping or boondocking. To do that, you’re relying on your RV’s tanks for water and its batteries for electricity. Naturally, dry camping is limited in time so you would need to dump the black tank and fill up on water every few days. If you’re unfamiliar with RV’s, you can take a few minutes later on to read my post about the various types of RV’s out there. For the purpose of this post, just be aware of the two types of RV which can affect your mode of vacationing. Motorhomes are complete units with vehicle and living quarters combined. These are the RV’s that look like huge buses or trucks with homes on them. No towing – a single unit that moves along when you drive. Travel trailers and 5th wheels are towable RV’s. You connect them to a tow vehicle such as a truck or an SUV and pull them along from one place to another. Motorhomes are generally easier to camp with because you don’t have to hitch and unhitch a trailer. As long as the ground is level, there’s not a lot of balancing to do either. With trailers on the other hand, everytime you reach a campground to stay there for more than a night, you’ll want to unhitch the tow vehicle. That also means dealing with extending the jacks to stabilize the RV. Depending on your vacation style, the towing option may have its benefits. Once you unhitch, you can use the tow vehicle to travel around and do your sightseeing. With a motorhome however, you’ll have to move an entire “house” along just to get to the store. 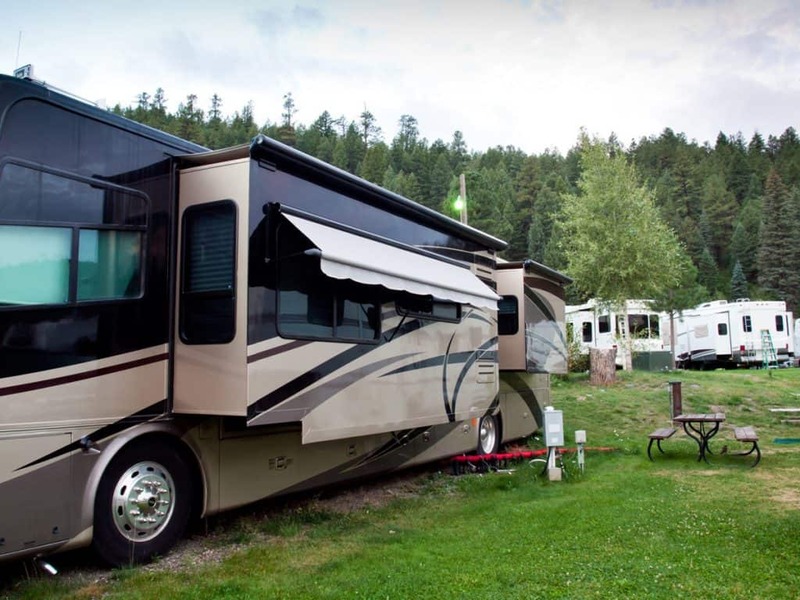 Motorhome owners typically tow a small car behind so they can use that when the RV is parked. You can’t do that with a rental RV though. Which brings me to the next point. Not everyone wants to own an RV. Many families choose to rent one instead so they can go on a holiday once or twice a year. Renting is a very different experience from owning your own RV though. For one thing, renting almost always means you get a motorhome. Rental companies rarely rent out anything else. 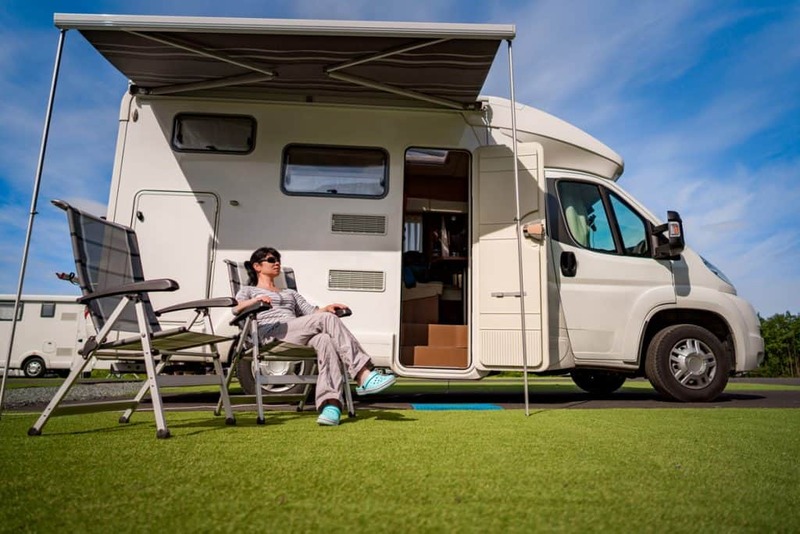 While you can find peer-to-peer rentals these days, a motorhome may still be the more convenient option, saving you the need to match the right tow vehicle to a specific RV. Another thing to keep in mind is that with a rental, you’re going to have more of a learning curve regarding the operation of the RV as you’ll be getting a model you’re not already familiar with. Also, an RV has a gazillion different operating systems and the odds of one of them malfunctioning aren’t small at all. Now, this can happen with your own RV too only then you’ll be able to inspect the RV long before your vacation and fix things in time. In short, my point is renting an RV is different from taking a holiday in your own RV. That’s something to keep in mind at this point. Let’s begin on a positive note with all the awesome things that an RV holiday offers. One of the things that bother parents the most about long road trips is the need to switch from one motel room to another on a daily (or almost daily) basis. An RV solves this problem altogether. Take an average Class C motorhome like this Jayco Redhawk, for example. It’s not a particularly large model yet it offers a master bedroom for the parents as well as a fixed cab-over bed for two young children. You could use the dinette or couch as extra beds during the night too but for a family of four, that won’t be necessary. The point is, the kids can have their own bed with their own linen, room for toys and everything else they’re used to. That can really reduce the stress of traveling for the entire family. In an RV, you really get to spend time together. Of course, to some extent that’s true of every vacation. In fact, it’s one of the reasons to go on a family holiday – of any kind. However, RV’s provide you with more “family space” than a hotel room would. An RV usually offers a full-size kitchen you can use, as well as a dinette and a living area with comfy couches and a TV set. That means more room for board games and other family activities. To get the same kind of space in a hotel, you’d have to take a suite. What’s more, for a larger family, an RV may provide the only way to stay together overnight. Most hotel rooms are set up with two double (or queen) beds. That’s enough room for four people at most. If you’re traveling with three kids, some places do offer family rooms large enough to have five people in them. Especially if the fifth is a baby or a toddler. However, finding a room for six is nearly impossible. You’re going to have to reserve two rooms instead. This won’t only cost you double but also mean the family gets split up in the evening. Speaking of hotels. Many people choose to travel in an RV so they can save money on hotels. In my opinion, that actually works only when you have a big family which would require two hotel rooms. For four people or less, an RV probably isn’t a good way to save money on hotel fees. Let’s look at the expenses of a non-RV holiday. Having traveled in 45 US states with our two kids when they were little – and not in an RV – I think I know the numbers on this one. A hotel room for a family is going to cost you an average of $120 a night. Yes, you can get a Motel 6 room for $40 in some areas but if your vacation is in a popular spot, in a big city or during a holiday, you’re going to have to pay $100-$150 for a room for four. I think $120 a night is a conservative estimate. Assuming you fly to your destination and rent a vehicle there, you’ll also pay $50 per day on car rental. That’s something you don’t have to pay when you rent an RV. That brings us to a total of $170 a day for the non-RV option for a family of four. Once you factor in the additional miles and the kits for four people, the entire rental is going to cost you $880 a week. Or about $125 a day. Sounds cheaper than $170, right? You’ll also need to pay for staying in campgrounds. Assuming you’re going for mid-range campgrounds with full-hook ups, you’re going to pay another $50 a night for that. Which brings us to $175. Pretty much the same cost as the vehicle + hotels option. Let’s say you rented a minivan so you can still take two adults and four kids in there. If you try to reserve hotel rooms, I guarantee that it won’t be easy. You’ll either have to upgrade to a suite or – more likely – get two rooms adjacent to each other. In fact, in many motels, that is the suite. Which means you may still be paying $50 a day for the car but now you’re paying $240 a night for accommodation. So a total of $290 a night. You’re going to have to switch to a larger RV of course. But here’s the thing – the kits and additional fees remain the same. In fact, all you’ll have to add is just a total of $35 to the entire rental! Your daily cost is only slightly changed to $130 for the RV and the same $50 a night for the campground. 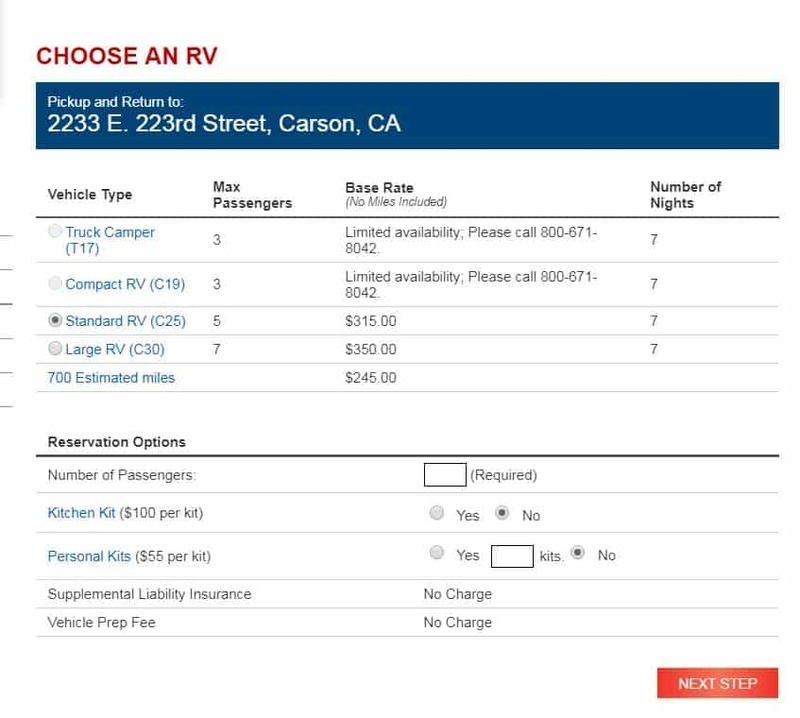 Now we’re talking about $180 a night for the RV option vs. $290 a night for a the car + hotels option. So, yes, an RV vacation can save you money on hotels – but only if you have a large family. In a way, going on vacation always provides a sense of freedom. I do think it’s even more so with an RV. Just knowing that you could – if you wanted to – go down an unknown sideroad and spend the night in the woods, by some creek that no one has ever heard of – the thought itself is somewhat liberating. I think it’s a sense of living “off the grid”. Or at least being able to – for a day or two. That’s a huge appeal in RV life and RV vacations. It really doesn’t matter if you’re heading out to the mountains or the beach. RV life will provide you with a change no matter where you’re going. Just being in a different environment, having to deal with operating an RV together and spending all that quality family time in the same space – those things on their own will be creating memories. An RV vacation is bound to be special and memorable. Of course, you do need to make sure the memories are going to be positive! Which now brings us to the other side of the equation. RV’s are far from being perfect. There are drawbacks to RV life and to RV vacations as well and you need to be aware of them. They may or may not stop you from taking that holiday – but if you do go ahead with it, you’ll know what to expect. Whether driving a motorhome or towing a travel trailer or 5th wheel, you’ll be going slow. For one thing, RV’s are limited in the speed they’re allowed to go. Driving an RV means you need you follow the speed limit for commercial trucks. That would be anything from 55 to 65 mph on the highway depending on the state you’re driving through. For another, you just need to be careful. You’re driving a huge vehicle so both accelerating and braking are going to take longer. That’s just physics. You need to take care to keep a safe following distance. Taking slower vehicles over will have to be done with great care and most of the time you’ll find yourself stuck in the trucks lane. If you go into an urban area – or even head into a gas station – it’s going to get even trickier. You would really have to be slow when maneuvering the RV. You may even need someone to help you – especially when parking. And yes, if you want to stop to do some sightseeing on the way, parking can be hard. Just read my post about where you can (and can’t) park an RV in a town for a few hours. That all means that the designated driver is going to get tired faster. Just keeping that level of concentration will do the trick. Even more so when you’re on a holiday. Why? Because chances are you’re not an experienced driver of big rigs and driving the RV will just take more out of you. But don’t worry. Experienced RV owners feel the same. 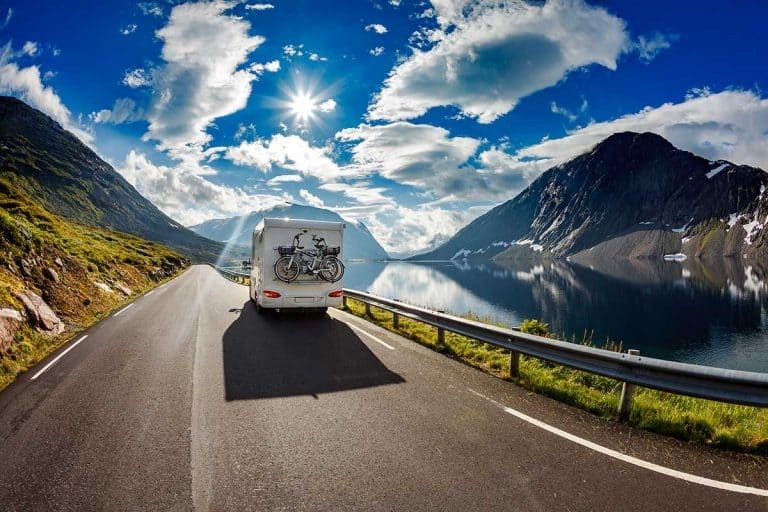 When deciding on a road trip, experienced RV’ers rarely plan on driving more than 200-300 miles a day. You should do the same. One of the pros was that the entire family gets to stay together, remember? Well, for some families that’s not necessarily an advantage. If you’re traveling with teenagers, they may actually appreciate having their own space in the evening. And don’t plan on letting them hang around anywhere they want to while the RV is in motion. That’s illegal in many states and extremely unsafe just about anywhere. Make sure everyone is seated with their seat belts in place when you’re driving. Safety comes first. Which again, means it can get more crowded than you think it would. Vacationing in a hotel may have its drawbacks but it certainly is nice to come back to your hotel room in the afternoon and find that someone else has so neatly made your beds for you, stocked up the bathroom and hoovered the floor. You don’t get that in an RV. What’s more, living in such a crowded space and traveling all the time means you have to keep everything super tidy. You can’t just drive on with dishes in the sink. Everything needs to be cleaned up and put in place before you can go anywhere. And not everyone appreciates having to do house chores while on a holiday. By that I mean that RV’s – being the large and heavy vehicles that they are – have their limitations as to where you can actually go with them. The most obvious one is with going into a city. While it’s possible and legal to drive an RV in most urban areas, it can be very inconvenient. I can’t even begin to imagine taking a towable travel trailer or 5th wheel down the narrow streets of some large cities. Or even just up and down the streets of San Francisco during rush hour. But not for the faint of heart. Which is why most people who go on RV vacations prefer to avoid that. What RV’ers usually do is leave the RV in a campground near the big city and use public transportation to get into the city. Many campgrounds near big cities offer shuttles to help their guests do that. 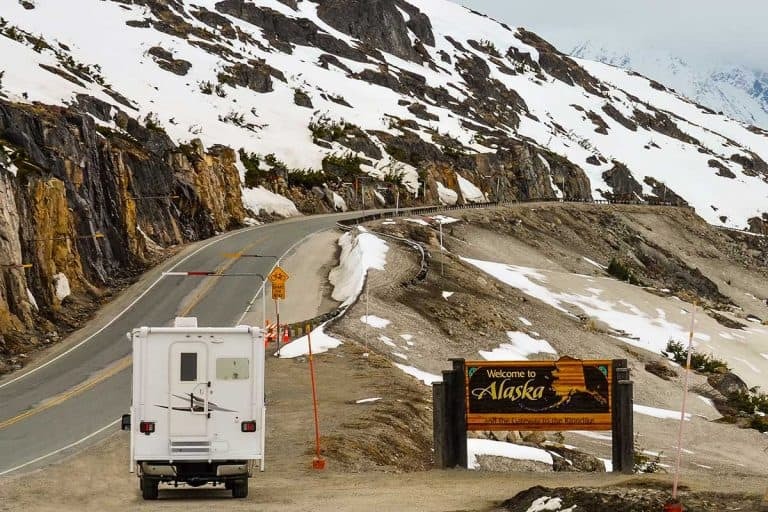 You can absolutely visit almost any national park with your RV however you may find that some roads are off-limits for your rig. Oftentimes the limitation is based on total vehicle length, so a smaller Class B motorhome may be able to use the road but a 30ft long Class C won’t be able to. Vehicles, and vehicle combinations, longer than 21 feet (including bumpers) or wider than 8 feet (including mirrors), are prohibited between Avalanche Campground and the Rising Sun picnic area parking. If your vehicle is 11”4 (3.4m) tall or taller or 7’10” (2.4 m) wide or wider, including mirrors, awnings, and jacks, you will need a tunnel permit. But even when you don’t need a special permit, a long and wide RV is going to be difficult to drive along many park roads. 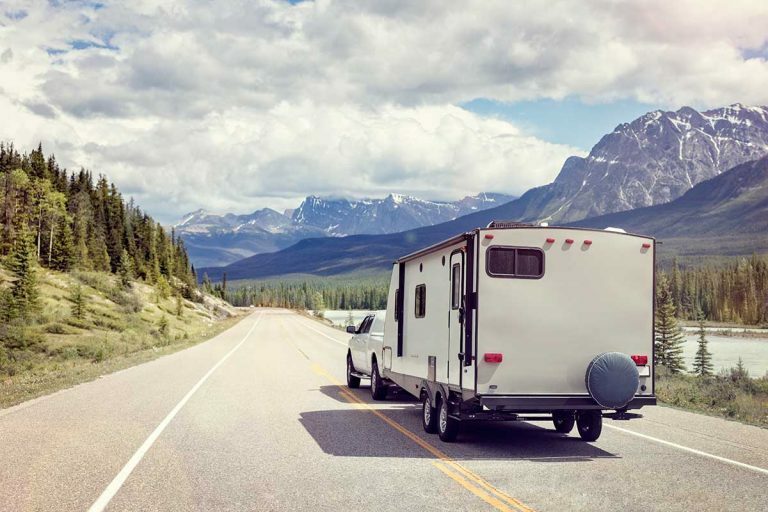 Many RV’ers prefer to avoid that altogether rather than risk an accident or slow down traffic as they’re battling against a particularly challenging turn in a narrow road. 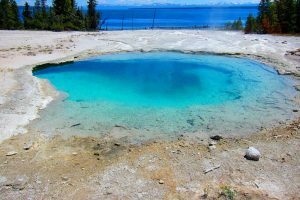 Speaking of national parks, you have to plan ahead and make arrangements if you’re looking to score a campsite in a national park, or in any other popular destination. Dreaming of spontaneously hitting the road and spending a weekend in your RV in Yosemite National Park? Campsites for such popular parks get taken up. Fast. As in months and months in advance, just as soon as registration opens up. And again, that’s not just in national parks. If you want to go anywhere popular during the season, you’ll have to either reserve a spot long in advance, or pay through your nose. Often both. In most states – Alaska being almost the only exception – you can’t just pull over anywhere you want to and dry-camp either. So arranging a campsite ahead of time can be crucial. 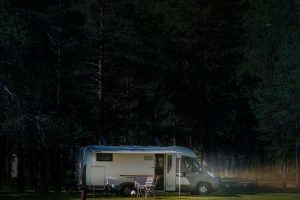 We’ve covered most of the pros and cons for an RV holiday so far, but there are two additional points which I’d like to discuss in further depth. As mentioned above, the entire process of renting an RV is time-consuming. And then you can get on the road. In short, plan on spending at least half a day on the entire process. And another half a day on returning the RV. You’ll have to clean it up prior to the return and fill up on gas. Then you need to unload all of your stuff and finally, you’ll have to go over the RV with a rep again, as now they want to make sure nothing is broken. Finally, you’re going to have to wait for someone in the RV station to give you a lift to the airport or to a nearby car rental agency. That’s another half a day when returning the RV. That’s why an RV rental weekend vacation doesn’t really make sense. Even if you’re an experienced RV’er and have no issues with actually driving an RV. If you’re new to RV’s and this is your first time driving a big rig then you should also factor in a few days of general “adjustments”. 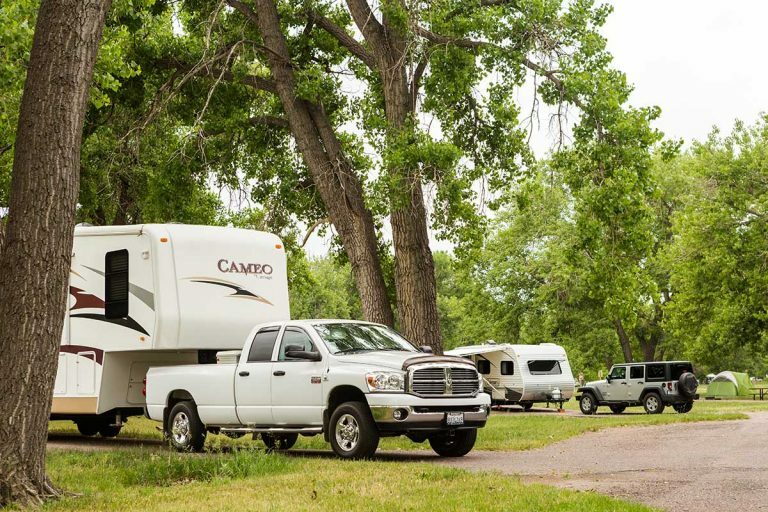 Don’t plan on driving too far during the first few days and carefully plan on finding campgrounds with pull-through sites so that you don’t have to try and park in reverse. If you’re new to RV’ing, an RV vacation probably makes sense only if it’s at least 2 weeks long. That way you’re going to get at least 7-10 days when you can actually enjoy your vacation. I mentioned that before but it’s worth doing so again. If you’re renting an RV, it’s probably going to be a motorhome. And since you’re renting it, you won’t be able to tow a small car behind it, like RV owners often do. Stop for groceries on the way to camp. Find campgrounds with stores on the premises where you can get basic supplies. Prepare to rent a bicycle while camping so you can hope into town if you need to. I’m not saying not having a car is something that should stop you from taking an RV family holiday. That’s why this isn’t listed as a pro or a con – just something to be aware of and keep in mind. So, should you go on a family vacation in an RV? I definitely think it’s something you should try. I think renting an RV at least once and giving it a go is a great idea. Understand the limitations of renting an RV and then carefully plan your first RV vacation with them in mind. Take your time and go for at least one week, preferably more. That’s the only way to get a really good sense of what RV life will feel like for your family. And who knows, you may just fall in love with RV’ing! This has happened to many people and may just happen to you! Previous PostSUV vs Pickup Truck for RV towing: which to choose? Next PostWhat’s the Best RV for a Tall Person?